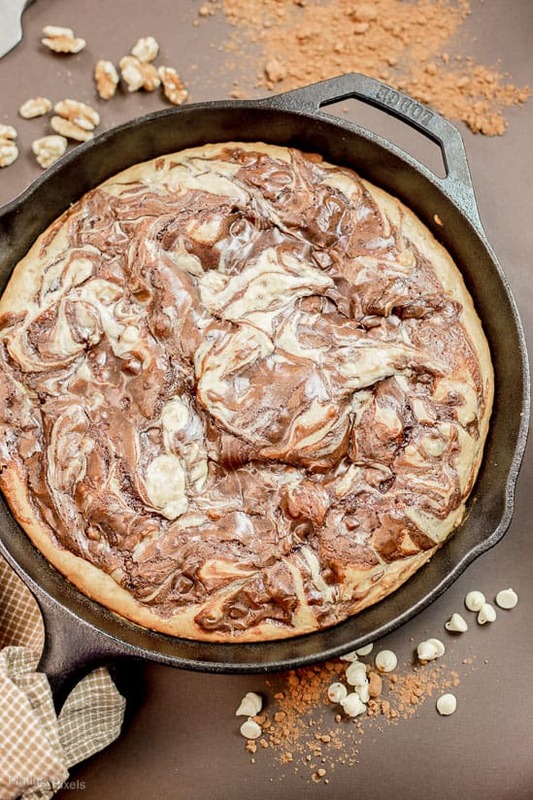 White cake and brownie batter swirled in a skillet makes an easy Marbled Skillet Brownie Cake. Baked over a graham cracker crust, with white chocolate and toasted walnuts mixed in. 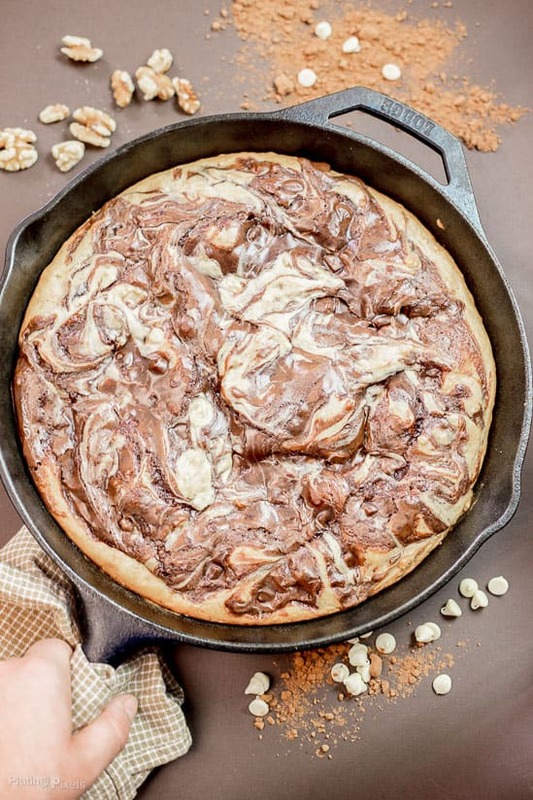 Within this recipe post you’ll learn how to make a unique dessert that’s baked in a skillet, with two distinctly different batters. Plus you’ll learn about a nice surprise that happens to the baked brownie batter. It’s time to dust off my skillet and do some baking…I’m completely kidding of course and would never let that happen to my skillet. I think of it as my most prized kitchen possession, even more so than my chef’s knife, cold brew coffee maker, or 20 x 13 baking pan; and that’s some tough competition. There’s something timeless about a skillet and hope I can pass mine down for generations. It takes special care, and must be properly dried and greased after each use to last decades, but every dish you make in a skillet is special. 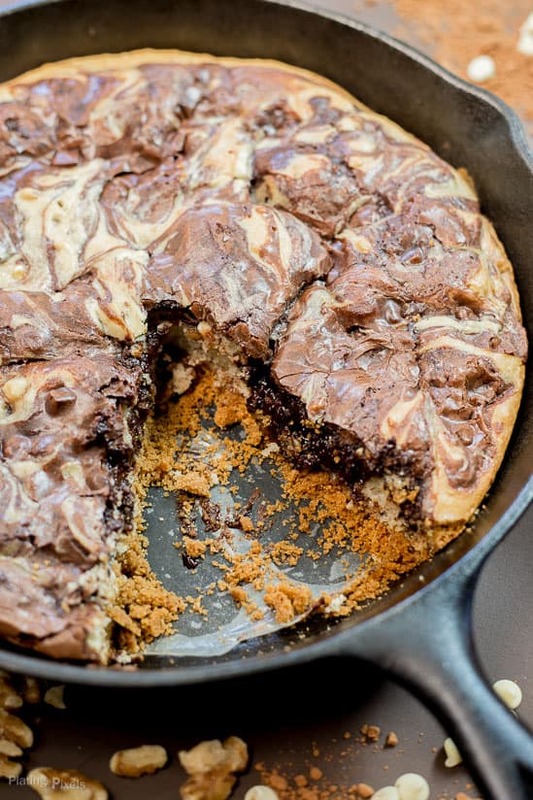 This Marbled Skillet Brownie Cake recipe is no exception. The ingredients and beauty of it alone are mesmerizing, and it bakes perfectly in a skillet. White cake batter swirled with brownie batter, and white chocolate chips and toasted walnuts mixed in for added decadence. To top it off (or bottom it off?) there’s a homemade graham cracker crust that adds texture and flavor. To my surprise it all works better than you can imagine. To save time I suggest uses cake and brownie mix for this recipe. While I love spending time in the kitchen and baking, creating two different batters completely from scratch, plus a crust, could be a bit overwhelming for some. 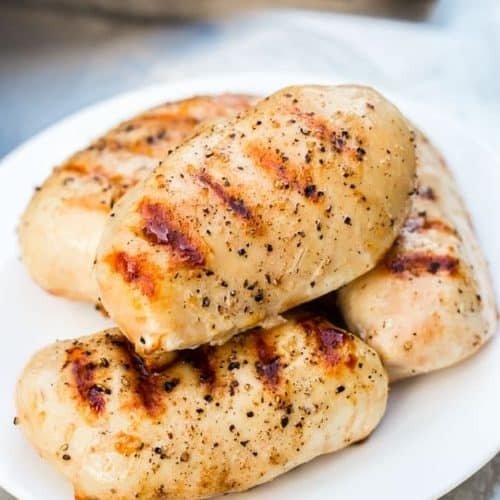 They bake perfectly and are so flavorful! Just pour the white batter onto the crust, drop scoops of brownie batter in and swirl to desired amount. 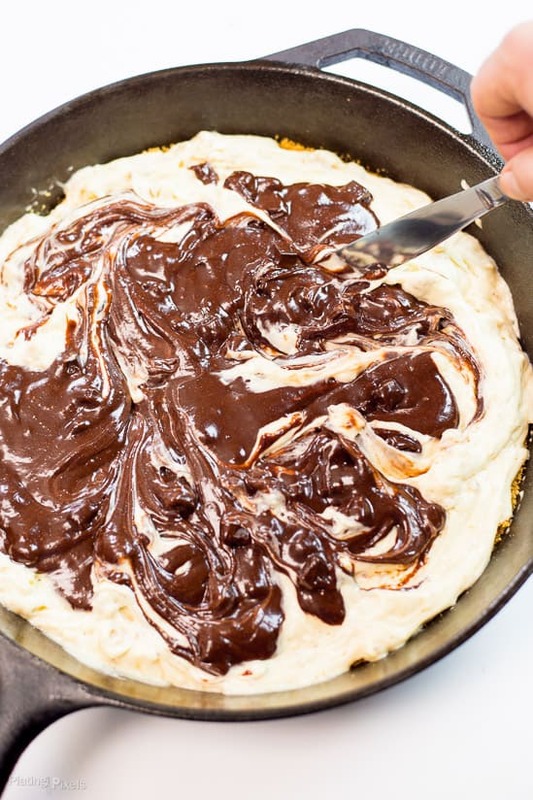 White cake batter and brownie batter baked in a skillet…oh this is a remarkable combination. Notice the glorious swirls that look like the surface of some magical dessert planet you want to get lost in? Safe travels and I hope you enjoy this journey. Want to take a guess what happens when they bake together? Here it goes…the white cake requires less time than the brownie batter. Bake the white cake perfectly and the brownie batter remains slightly gooey and moist, but still safe and cooked through. See that open slice with all the rich, moist goodness below the surface? That’s basically fudge inside of your white cake. Flavor profiles: Perfectly sweet white cake and white chocolate, mixed with rich chocolate brownie, toasted walnuts and graham cracker crust balance out with just a slight salty savoriness. Texture: Moist white cake with pockets of gooey, fudge-like brownies. Bits of walnuts add crunch. Dietary Options/Substitutions: This recipe is vegetarian. 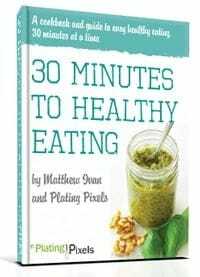 Omit walnuts if allergic. White cake and brownie batter baked in a skillet to gooey perfection. Preheat oven to 350º F. Cover bottom of a 12-inch skillet with parchment paper. In a medium bowl, combine graham cracker crumbs and butter until moist (I used a food processor to make crumbs). Evenly pat into bottom of skillet and bake 7 minutes; remove and let cool. Beat together cake mix and butter on medium until combined. Add milk and eggs, beat on medium speed for 1 minute then medium-high for 2 minutes. Fold in toasted walnuts and white chocolate chips. Pour over crust, about half-way full; depending on depth of skillet you make not need all batter. 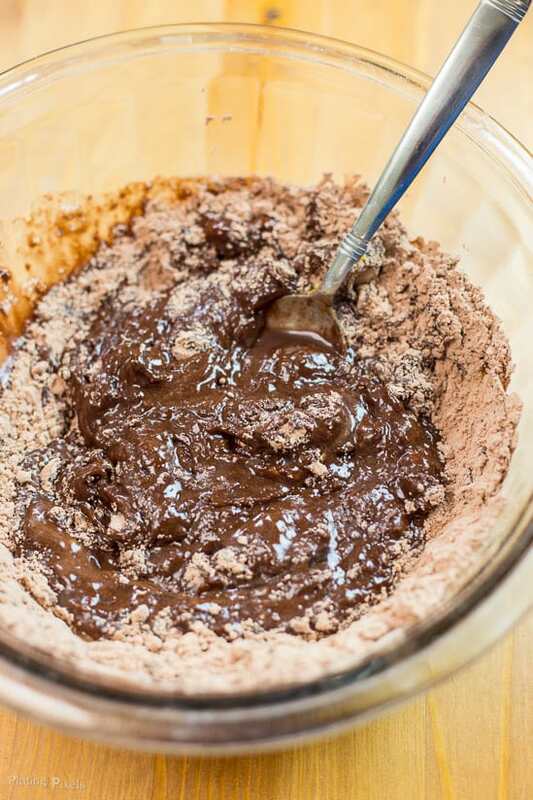 In a large clean bowl, combine brownie mix, oil, water and egg; stirring with a fork or whisk for 2–3 minutes. Spoon large scoops over white cake batter to about 2/3 full, then use a butter knife to create desired swirl pattern, being careful to not over mix. If you have leftover batters bake in a separate dish. Bake skillet at 350º for 25–30 minutes, or until top is set and white cake is just light golden color. Check center with a toothpick, you'll want it to come out moist with brownie batter to get fudge-like effect. Depending on what brand you use for white cake and brownie mix, ingredients may change. Follow package direction for amounts and baking times. Any time is a good starting point Kelly. Hope you like it and thanks! This looks and sounds absolutely delicious and that crust is a great addition. Pinning to try soon! The crust works great. Thanks and enjoy Joanie! If I wasn’t cutting for a Crossfit comp, I’d be all over this! I totally understand Rachel. Good luck and maybe you can try this as a reward after! This came out beautifully! Skillet brownies always look so fun – this will be a great recipe for me to try for the first time! Thanks Chrisy! Skillet anything is so fun. You totally should and enjoy! 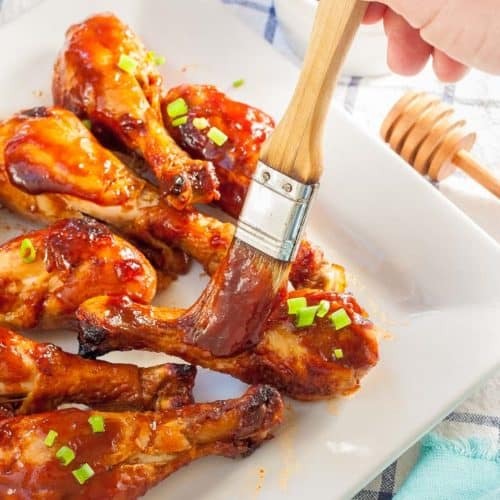 Oh my gosh, this looks SO good! I’m going to have to save the recipe for later! Thanks so much! Hope you get to make it soon. this seriously looks delicious. Pinning it. You just mixed 2 of my favorite things. And in a cast iron skillet. Stop, just stop! LOL! Haha I’m glad I hit all the favorites here Leah! It all comes together so wonderfully. The description alone at the top reeled me in! Then the rest of the post + pictures sealed the deal! I have a cast iron skillet but don’t use it a ton. 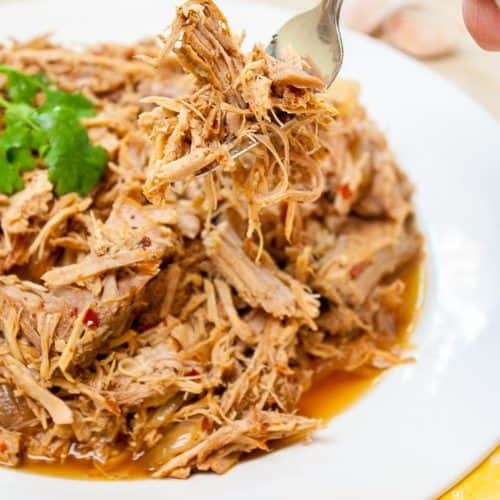 It’s time for me to fix that, I think – starting with this recipe! Ya this is pretty hard to resist Brittany. Glad you’ll be getting some more use of you’re skillet. Thanks! Thanks and I hope you do Hayli!